Would we call it a Super Duper Puma if it wasn't, in fact, Super DUPER!? Of course not. 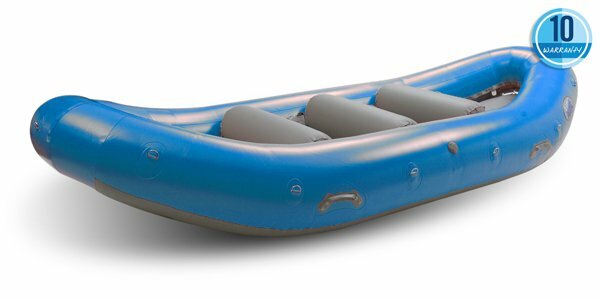 If you are looking for a 14' raft to accommodate gear, but still want a fast, sporty paddle boat, the Super Duper Puma is the perfect fit. The Super Duper Puma is a fun choice for R4-R7 paddle teams, easy going overnight rowing trips, and can accommodate three anglers when outfitted with a fishing frame. 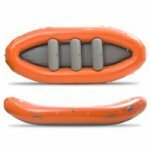 This versatile raft can slip into hard to reach fishing holes and is the most maneuverable 14' raft we make. Favorite rivers: Fishing rivers and technical water. Ideal for: 4-7 person paddle teams and 1-5 day rowing / fishing expeditions. Length x Width x Height: 14'2" x 5'10"